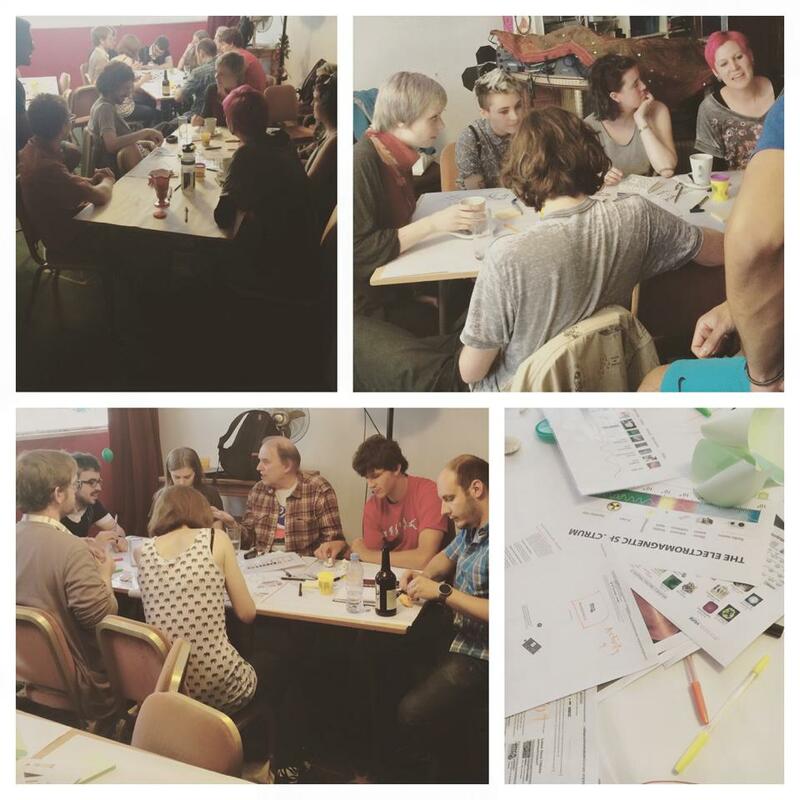 The Science Room @ The Art House is an informal science community forming in Southampton allowing everyone to participate in science through talks, questions, exploration and discussion – as well as lots of artistic creation! Alternate Saturdays at The Art House, 12 – 1.45pm – see our calendar for upcoming dates and join the Facebook group to connect with the groups and get event invites. This event is by optional donation – please give what you can to support our space and enable us to keep offering a venue for groups like these. Let’s discover our inner scientists! The concept of The Science Room is that through science questions asked by you (for example, ‘why is the sky blue?’, ‘what would the world be like without gravity?’ and ‘could machines develop consciousness?’). The organisers go and find enthusiastic scientists who will deliver short-and-snappy talks at the Art House, leading to discussion, creation and dialogue between scientists and you all. The unsolved questions form the future events! Why did we start The Science Room? We believe science is for everyone, to both enjoy and take part in, but we understand that most of us have no easy gateway into the world of science. In Southampton, Gateway to the World, we aim to create a Gateway to Science! When you walk in, you’ll see some enthusiastic organisers and find a table to sit by, which will have paper, post-its, pens and Play-Doh, allowing you to note ideas, questions and contribute creatively during a talk and discussion. The Science Room @ The Art House is organised by Jamal Kinsella, Przemysław Ociepa, Karolina Mirowska, Matthew Aldous and Andrei Dragomir.